figures. . Wallpaper and background images in the Rosario Vampire club tagged: rosario. 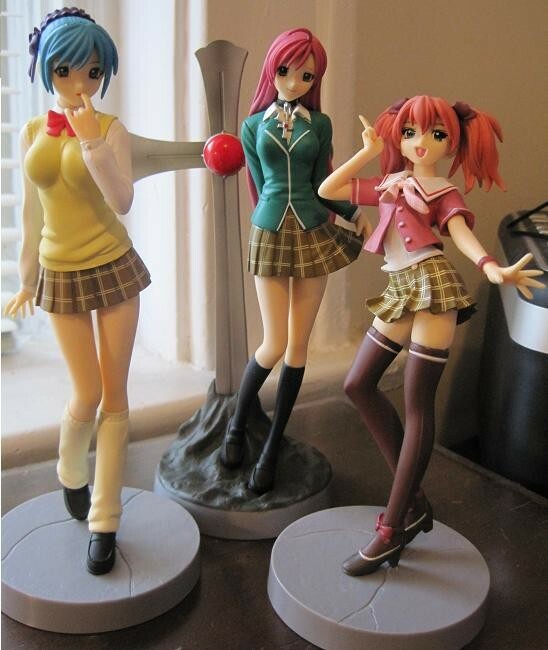 This Rosario Vampire photo contains bare legs, pantyhose, skintight pants, skintight, hosiery, and hose. There might also be hip boot, thigh boot, tights, leotards, and stocking. Where'd you find these man? eBay would be a good place to look. But you risk the chance of getting the non-authentic ones. which can be cheaply made sometimes.